Laid down in October 1942 at Consolidated Steel Corp., Orange, TX. 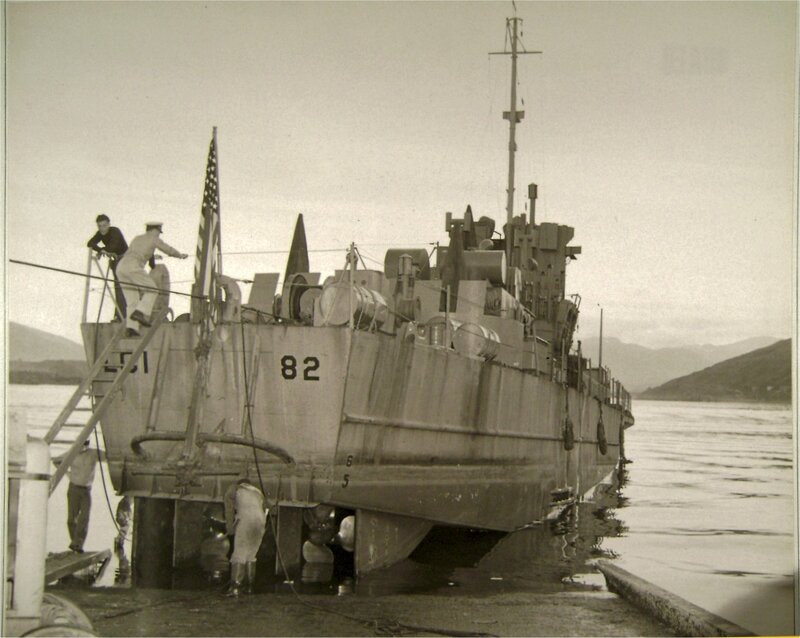 356k USS LCI(L)-82 being hauled out of the water by her stern onto seaplane ramp #2 at Naval Operating Base Kodiak, AK. 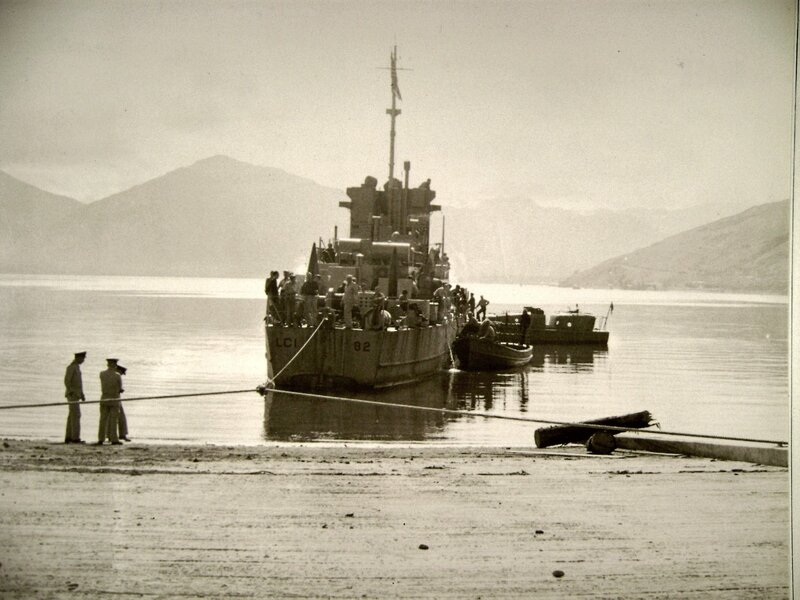 in August 1943 for repairs to her hull. Jerry Gilmartin MMC(SW) Ret, Secretary AFMM LCI713, Curator Save the PT Boat Inc PT658. 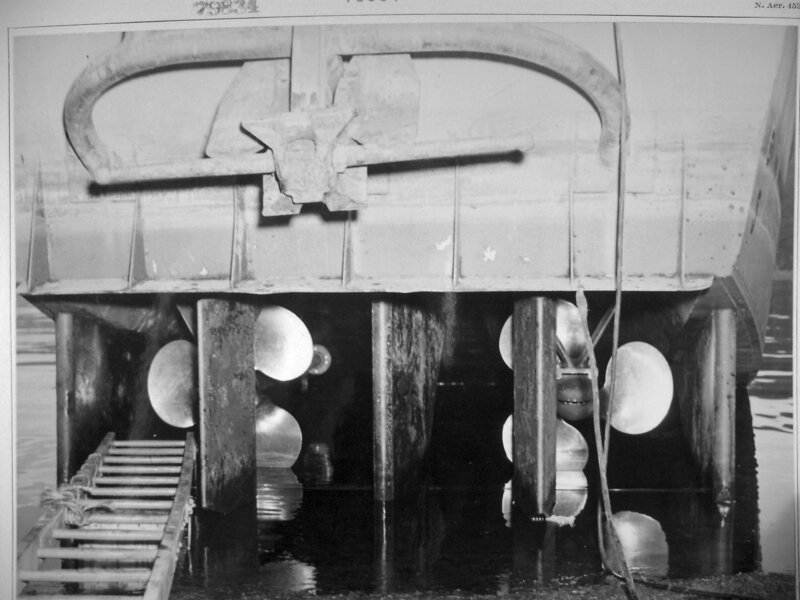 272k Two views of USS LCI(L)-82 propellers while hauled out of the water at Naval Operating Base Kodiak, AK. 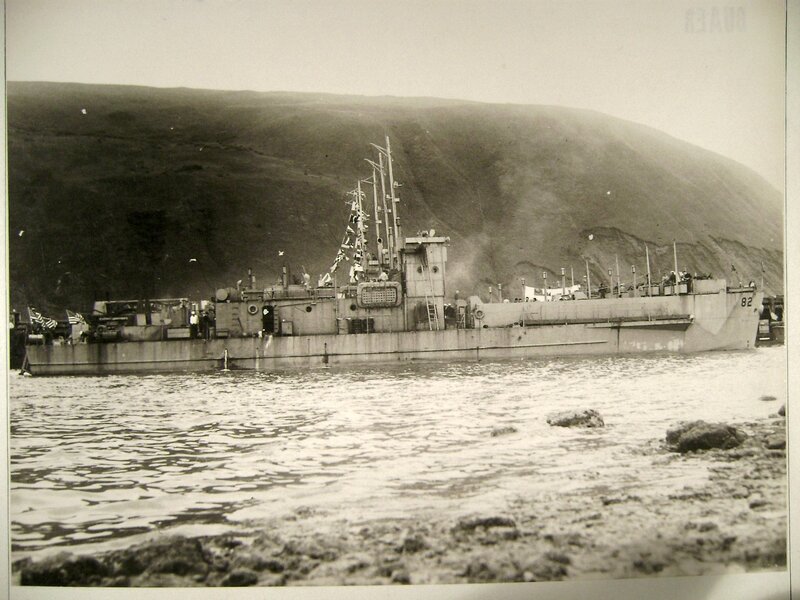 in August 1943 for repairs to her hull. 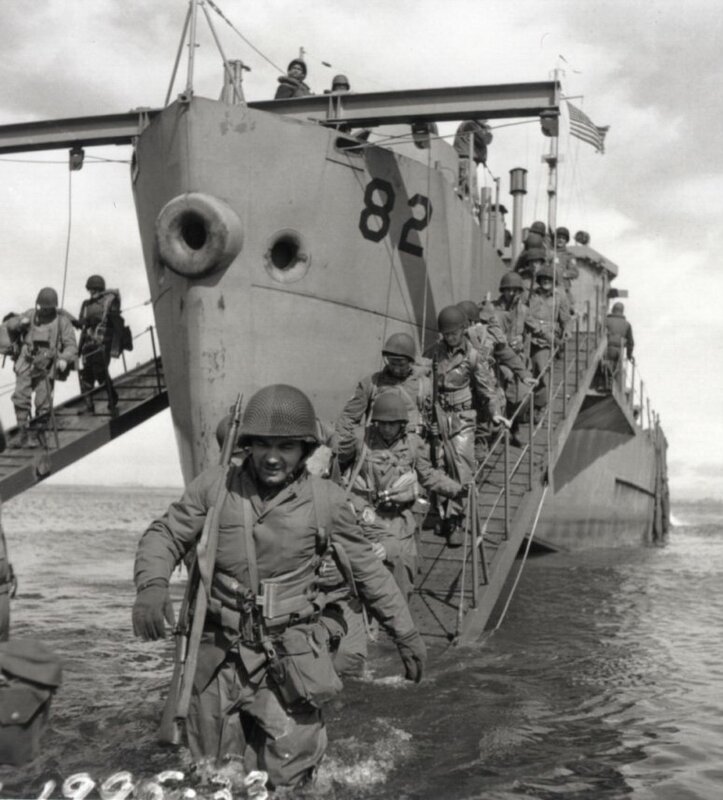 Jerry Gilmartin MMC(SW) Ret, Secretary AFMM LCI713, Curator Save the PT Boat Inc PT658. 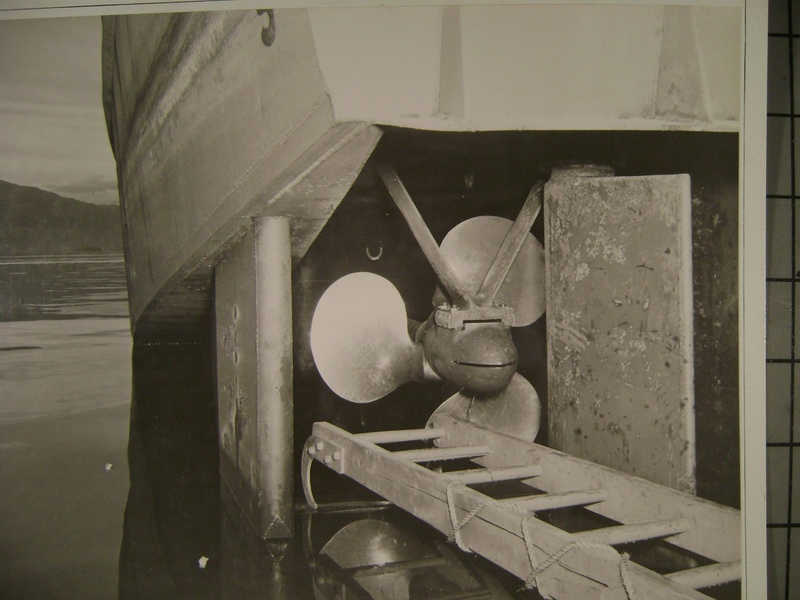 370k USS LCI(L)-82 moored outboard of a nest of LCI(L)s at Naval Operating Base Kodiak, AK. 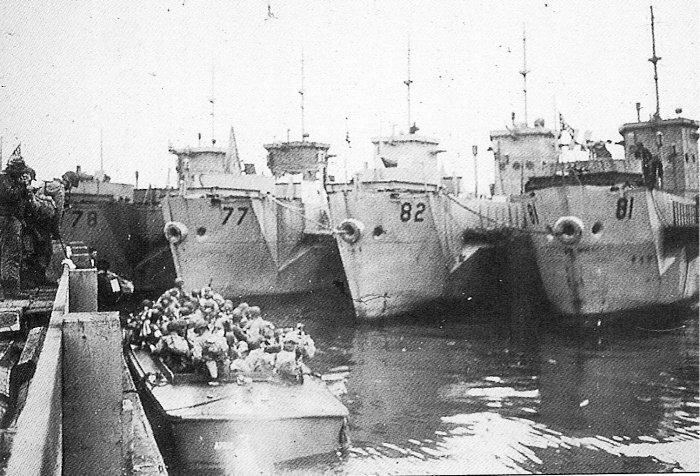 in August 1943. Jerry Gilmartin MMC(SW) Ret, Secretary AFMM LCI713, Curator Save the PT Boat Inc PT658.